Namco Bandai's ghost chomping hero wears many hats. Pac-Man dominated arcades during the 1980s, but Namco Bandai's mascot couldn't live on power pellets alone. To make its hero appeal to an even wider audience, the company transformed the yellow guy into a jack-of-all-trades, dropping him into platform adventures, puzzle games and other genres. 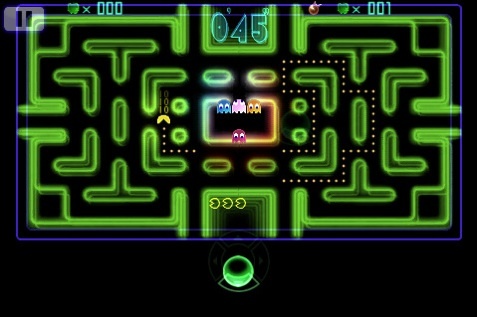 Of course, if fans wanted good old-fashioned Pac-Man, well, the publisher kept it (and Ms. Pac-Man) within reach. On that note, we dove into Pac-Man's storied history and selected a handful of portable games that do a little something different. When Nintendo launched the DS in 2004, fans were in desperate need of a title that showcased the system's touch screen. Namco Bandai delivered with Pac-Pix, a puzzle game that ditched those familiar mazes for a sketchbook. 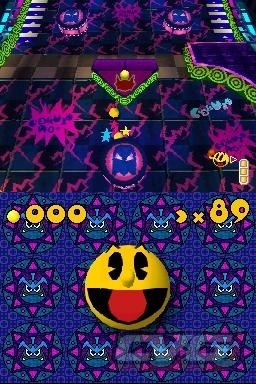 Players used a magic pen to draw Pac-Man, then directed him around the screen with arrows. Review scores were mixed, but we thought the game was imaginative enough to warrant a look. This game reminds us of Super Monkey Ball, except the levels are much bigger. That said, the basic play mechanics bear a striking resemblance to the aforementioned Sega franchise, as players roll Pac-Man through 3D worlds making sure he doesn't plummet to his doom. The controls felt a bit loose (too many unwarranted deaths), but the game definitely has its moments. If you're in the mood for a solid puzzle game, download Pac-Chain for iPhone or iPad. This frantic title tasks you with clearing groups of similarly colored ghosts while at the same time guiding Pac-Man to power-pellets. When he devours one, all the ghosts turn blue, or as we prefer to call it, one giant smorgasbord. Still looking for more Pac-Man puzzle action? 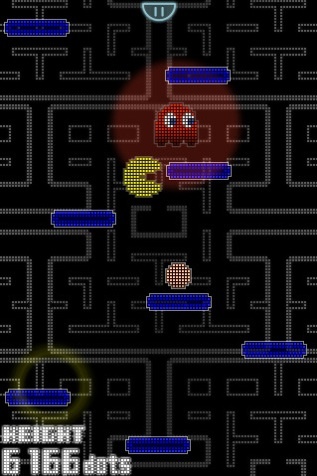 Perhaps Pac-Attack (also on the iPhone) will interest you. 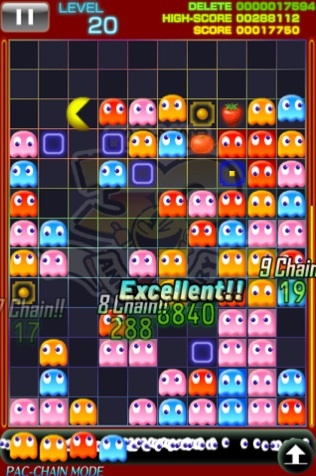 After years of mediocre spin-offs, Namco Bandai went back to the proverbial drawing board and created the sublime Pac-Man Championship Edition, a previously Xbox Live exclusive arcade game based on the old 1980s design, but with much faster gameplay that sends Pac-Man back and forth in a desperate attempt to eat fruit/power pellets and avoid those pesky ghosts. Suffice to say, the game was a huge hit. So much so, that the company wound up porting it to a variety of devices, including the iPhone and PSP. For iPhone, the swipe controls tend to be a bit sticky, but overall, the App's jam packed with value. Of course, an iPad version would be nice. If this App reminds you of Doodle Jump, well, you're spot on. 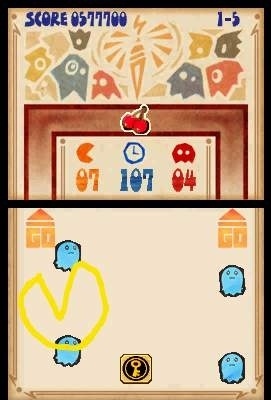 Namco Bandai shamelessly copied the popular iPhone/iPad game, where you bounce Pac-Man on platforms to reach new heights. With this in mind, the company added some cool tweaks (familiar theme music, the ability to eat ghosts, stages based on popular Namco Bandai arcade games) to set this game apart from the competition. The result? A wonderful success. We'll never play Doodle Jump again.